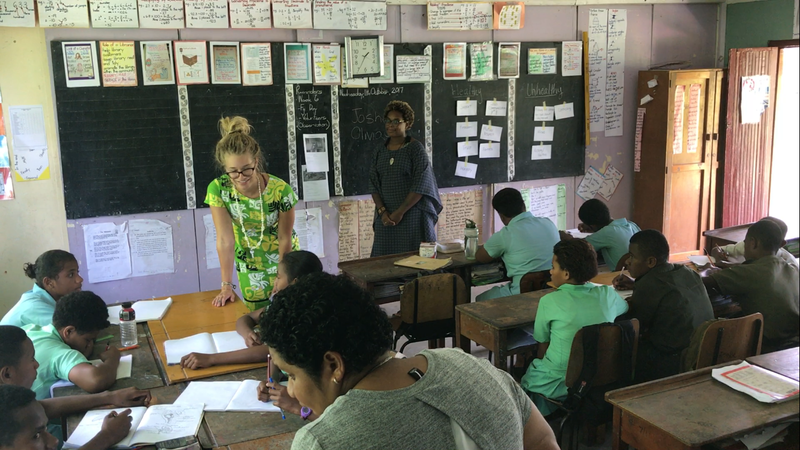 Primary school practicum – Kua na Leqa, Marua Tiko! At my site placement I will be teaching healthy living in a primary school and last week I got to give it a whirl to practice. I was co-teaching with another volunteer to a grade 8 class. The first day we were there we observed the teacher and her teaching style, then the second day we taught a lesson about healthy relationships, third about peer pressure and the fourth about healthy eating. We wanted to have the students engaged and active in the class so we did a lot of role playing and games. I never pictured myself teaching a class of 8th graders, but I really enjoyed it. Coming up with a lesson plan was easy but coming up with a lesson plan that will be fun for the kids was more of a challenge. It was also difficult to determine how much the class already knew since we were only there for a week. Teacher friends, please send me some games that you do with students! We played a healthy eating jeopardy game and the class seemed to enjoy it and got really in to it. In the beginning of the week we had the kids write their name on a paper and two things about themselves. So then when they raised their hand they’d hold up their name tag too so we could say their name instead of just “hey you in the green” (esp since they wear uniforms). I learned about half of their names in those 4 days, I will most likely do this name tag idea for my classroom as well. We really liked the class and they were all very good kids so we wanted to show our appreciation. On our second to last day we asked to collect their name tags at the end of class. Before going back on the last day, we added stickers and wrote positive feedback and positive affirmations on their name tags to show some appreciation for their good behavior. Seeing the kids smile when they read their feedback was the best. Before we left on the last day the teacher told us stay and to sit on the chairs that students brought to the front of the class room, I was not prepared for what was about to happen. Two students came to the front and wrapped beautiful necklaces made out of leaves and flowers around us and then two other students gave us a card that everyone signed and a wrapped gift. Then a boy named Eroni came to the front of the class and gave a short speech, in English, thanking us for coming to their class and teaching. After Eroni sat down a girl, Jane, starts to sing and the rest of the class joins in. They were singing a traditional Fijian farewell song. I was overwhelmed with joy and how much effort they put into saying goodbye to us; it was so sweet. 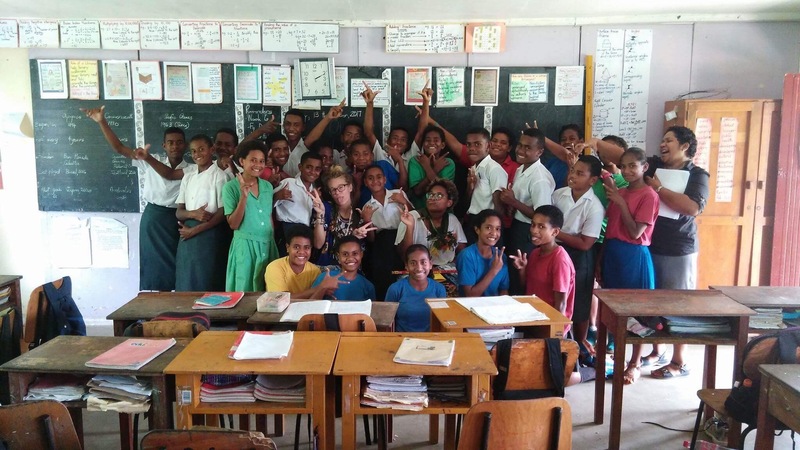 We left the class giving all the kids high fives (we weren’t sure if hugs were appropriate in classrooms) and a big vinkaka vakalevu (thank you very much). On our way out the teacher told us there was one more gift, it was a meter long stick of gum and coconut cookies! I went home that day full of joy and showed my Na pictures of the kids while we drank tea and ate coconut cookies. I am so grateful for my host family for accepting me into their home and treating me like a daughter despite the language barrier and cultural differences. I am also grateful for such a positive experience teaching at the primary school. Previous Where will Liv live? 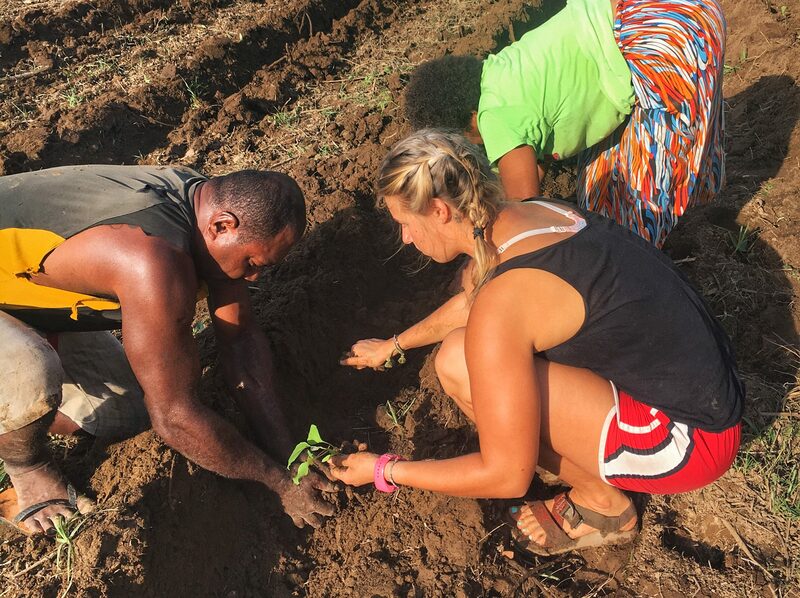 Next From Bula vinaka to cola vina!